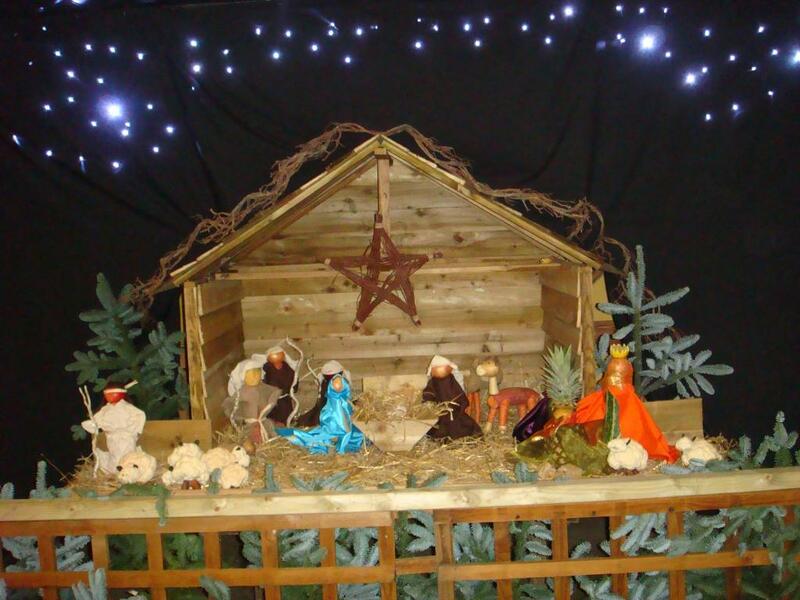 At Tulleys Farm in West Sussex they put on a special show for their Christmas visitors - A Nativity scene made from vegetables. The star of the show is of course baby Jesus made from a CARROT!! Ah.. it's the Baby carrot Jesus! 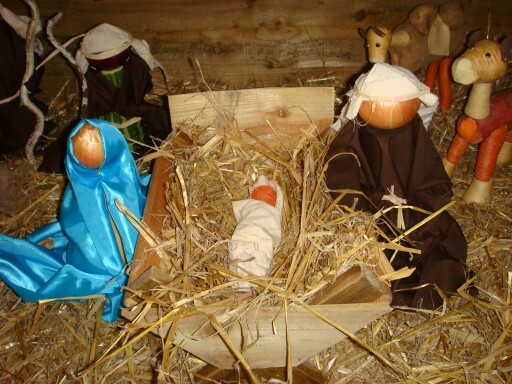 There may be no mushroom at the inn, but baby carrot Jesus is away in a mange tout in this nativity scene. A butternut squash Mary and Joseph, cauliflower sheep and a parsnip donkey all add to the fun, as do Three Wise Men made of marrow, and other figures created out of onions and apples. Events manager Sally Duguid is wishing customers a veggie merry Christmas at Tulleys Farm in Turners Hill, West Sussex. One visitor said: "It's the most a-peeling use of fruit and veg I've ever seen." Tulleys Farm specialises in good wholesome local food coupled with great family fun. A farm with pick-your-own soft fruit and vegetables. A 7- acre maize maze puzzle to entertain all the family. There is also a tearoom, farm shop, children's play area and pets corner. Pumpkin, Halloween, Easter and Christmas activities. A very Merry Christmas to one and all and a Happy New Year. Eat plenty of carrots during the festive season - you know it makes sense.